This page is going to be a round-up of all of the door security devices that are out there and how they are installed and used. I’ve established previously why it’s important to focus on securing your doors against criminals. In case you didn’t see that, about a third of burglaries either attempt or successfully gain access to a home via doors. Here, we’re going to focus on the devices that you can purchase and install to increase the level of security of your doors. Want to see how likely you are to be burglarized? Try our burglary risk calculator. Sliding doors can be the easiest types of doors to defeat. I have read and watched interviews with burglars where they admitted to targeting sliding doors for most of their home entries. 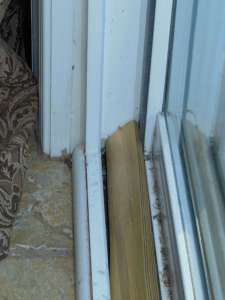 There are a couple of things working against the average sliding glass door. Most have a spring activated lock (rather than a keyed lock) in which the resting position of the spring is the unlocked position. That means that with very little coaxing, the lock will (assisted by the spring) flip over to the unlocked position. This is commonly exploited by shifting the door in its track to cause it to unlock. But, it could also be bypassed by drilling a small hole with a glass drill bit and a battery powered drill and then actuating the lever. They are sometimes not adjusted correctly after installation. Some sliding glass doors have a mechanism to adjust the height of the door and to take “play” out of the door to combat any attempt to subvert the lock or remove the door from it’s track. If they don’t adjust, then a piece of lumber or plastic in the top of the track can prevent the door from being lifted up. Often, this step is omitted during an installation. They are all glass! Glass is easy to break and walk right through. 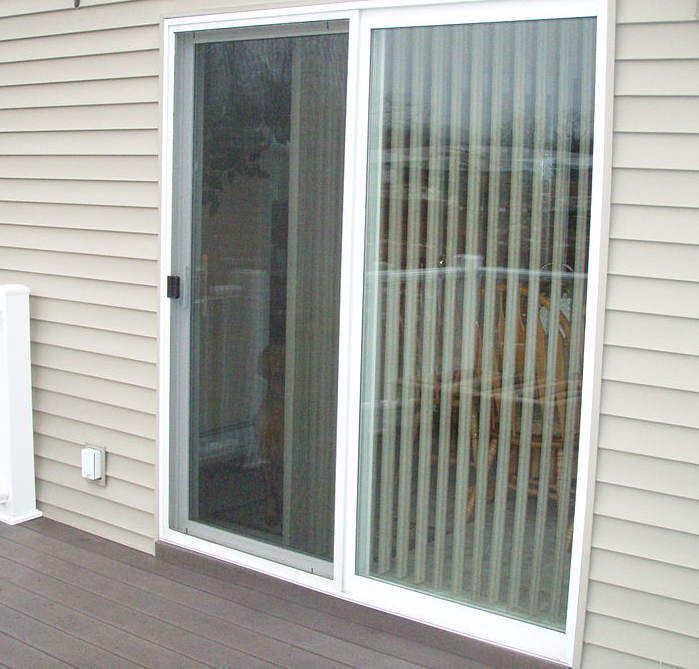 Even better, sliding glass doors are made with safety glass in case someone accidentally walks or runs through them. Burglars love that! It means that they can break the glass with their hand without worrying about getting hurt. There is initially a loud sound, but a single loud sound may not draw attention from neighbors unless it is followed up by more activity. Sometimes, they are installed incorrectly. If doors are installed with the sliding portion toward the outside of the home, then the door can be lifted off of it’s track and removed completely to gain entry. If a sliding glass door is installed backwards, your best bet is to remove it and install it correctly. Depending on your skill level, that may be a job for a professional, as it can be pretty involved. 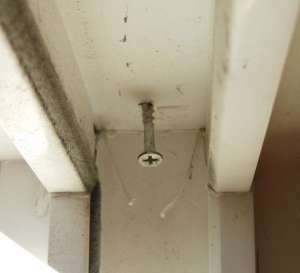 But, it is possible to install hinge bolts that can hold the door in place even if the pins in the hinges are removed. Are you sufficiently concerned? Good. Awareness is the first step to a more secure home. Add a sliding glass door security bar or rod as a secondary “lock”. The bar will hold the door shut if a burglar manages to finesse the latch to the unlocked position or pry the door open with a crow bar or screw driver. You can do this in 5 minutes or so for each window or door that you need to do this for. Just measure the length of the track, find a piece of scrap lumber or buy a piece of small PVC pipe, cut it to length, and drop it in the track. You can do this for sliding doors and you can also add them to any sliding windows that you don’t already have pin locks in. Just make sure that the fit is tight so that a burglar isn’t able to crack the door and fish the block out with a wire or coat hanger. Or, you can also buy a bar that screws into your door and the frame and is easy to remove. Adjust the height of the door on the rollers or add stops above the door to make sure it can’t be lifted. If a burglar can lift the door enough, it can be taken out of it’s track or maneuvered up and down in order to finesse the lock open (check Youtube if you don’t believe me). First, measure how much space there is between the top of the sliding door and the top of the track. Then, you have a couple of options. 1) You could add a small piece of “filler” material (in this case, plastic) that will be secured in the top of the track and not allow the door to be lifted up. 2) Or, you can add screws to the top of the track that protrude down to the top of the door. Add a glass break sensor as an alarm if the glass is broken. You can buy standalone sirens/alarms if you don’t have a security system or purchase one for your existing system. As a cheap deterrent, you can even install a wired sensor (that isn’t connected to an alarm system) where the thief will see it and decide not to break in through your door. There are open source home automation software you can use along with your sensors for convenience. Improve the primary lock. You may be able to install an aftermarket lock that requires a key and is much more robust. This will depend on the construction of the door, but usually a simple pin lock will do. But, if you don’t have hurricane glass or safety film on the door, then there really isn’t much point in doing this. After all, a burglar can just break the glass and walk right through as long as you don’t have glass break detectors on the door or in the same room. 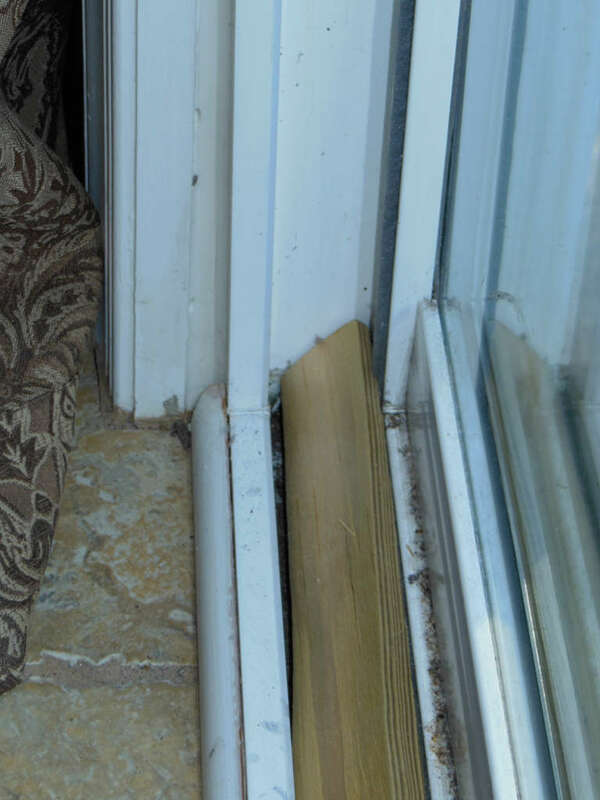 Swinging doors are usually more secure than sliding glass doors, but depending on their construction, they can share some of the same flaws or have equally serious deficiencies. Glass in your swinging doors decreases their security. If they have a lot of glass in them, then they are just as vulnerable to a thief that is willing to break the glass and make a quick sound to get inside. Some of them are hollow and are easy to break by force. Make sure all of your exterior doors are solid. If you decide to replace a door, steel-wrapped doors that still look like wood are available. They are often weakest around the locks. At best, they are held by two small locks (if you have a dead bolt) in an area of the door with substantial amounts of wood removed to accommodate the locks (which weakens the door). Consider door reinforcement kits. Door reinforcement kits can supplement the lock area and spread the force of a kick into a larger area of the door. The screws holding it to the hinges and the strike plates in place are often inadequate. The screws and door jambs on most houses can be defeated with a single kick. It doesn’t even take a really big guy to kick a door in. Just take a look at the one that I pulled out of my door. They can be installed incorrectly. 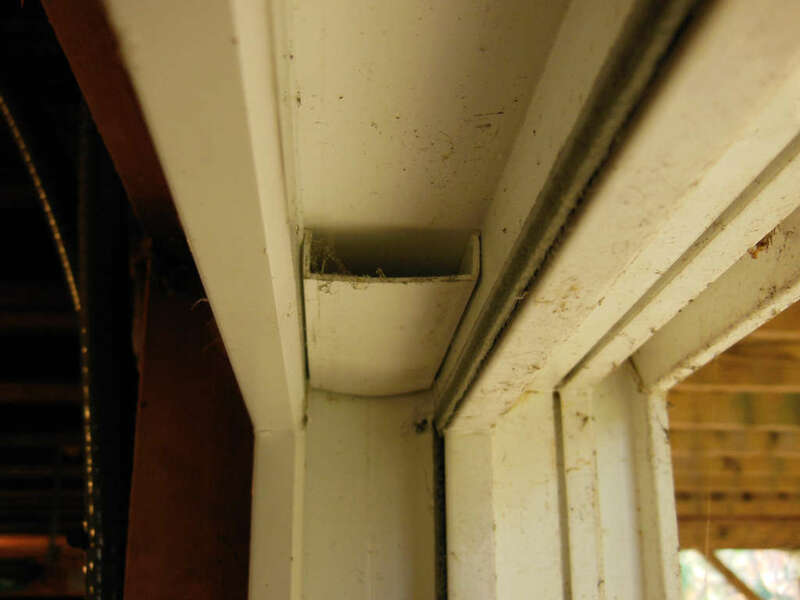 Make sure pins for the hinges are not exposed to the outside of the home. If they are, it is a simple task to remove the entire door. Going at homeowner speed, it’ll take about 60 seconds, and you can bet a thief is going to beat your time. Locks can be picked or drilled out. An experienced locksmith or thief can pick a lock in a few minutes and bump keys can be employed to bypass door locks in a few seconds. That is quick enough for a thief to walk right in the front door without anyone noticing. 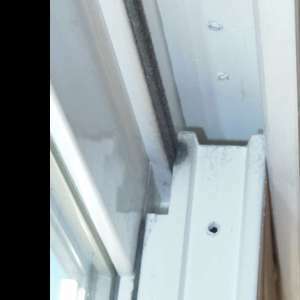 Glass break sensors – If your door has glass in it or glass windows around it, then a thief can easily break the glass and reach through to unlock the locks from the inside. To prevent that, you can either install security film on the glass or you can add a glassbreak sensor to the door using the instructions above for the sliding glass door. Longer screws and strike plates. – Installing at least 3” screws will insure you catch the 2×4 studs that are in your wall around your door. 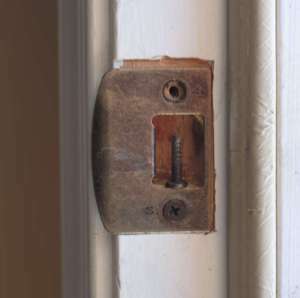 And, a larger strike plate with more than 2 screws will give your door a much stronger attachment to the wall when it is closed and locked and spread the force transferred from the door, through the locks, and into a larger area of the door jamb and wall. Tamper resistant hinges – If you do find yourself in a new house that has a door that is installed with the hinges on the outside. You should really reinstall the door. But barring that, it is possible to get hinges that are tamper resistant. Generally, they require special tools to remove that most burglars would not carry around with them. If it’s your front door and your street gets a lot of traffic, the burglar likely won’t take the time outside to try to remove the door as long as you have adequate lighting at your door. A secondary lock or alarm system – If an alarm to give you some extra time is all you need while you’re home, then an entry sensor or a door stop alarm will do the job. But, it’s not going to be any help keeping your door closed. But, if this is a door that you don’t use very often, you may want to consider a secondary door stop device. These can be a bit of a hassle to put in place and remove when you want to use the door, but they’re perfect for a basement or side door that doesn’t get a ton of use. And, they’re cheaper than a top to bottom door reinforcement job. If you have French doors, then something with a wider stop would be more appropriate. The most popular one of the type seems to be the Door Club. What you really want, is for the criminal to be feeling like these poor police officers while you call the cops and wait for them to arrive. Hopefully your local jurisdiction is more competent than these guys. Another great product is this device that holds your deadbolt in place from the inside and prevents picking and lock bumping from unlocking the door. It’s easy to put on and take off and even kids can use it. Just remember that it won’t help against a crow bar. Hopefully, that gives you an idea of what types of door security devices are out there. I may have missed a few, but these should cover the most effective ways to secure your sliding and swinging door. Do you use any of these at your house? How have the worked out for you? We would love to hear from you.